Mrs. Shelly Kirchhefer is currently the Emergency Management Coordinator for Goshen County, brought aboard 07/15/2004. Shelly has been the Emergency Management Coordinator for the Town of Lingle since May of 1993 to present, having over 24 years’ experience in this field. As Coordinator, she manages all disasters, whether man-made, natural, or technological that may occur in Goshen County. Exercise/Planning Officer, and Firefighter for Yoder Fire Department and is a member of the Eastern Wyoming College Campus Safety Group, Goshen County Sheriff’s Search and Rescue as Records Keeper and is a Certified NASAR Tech II. 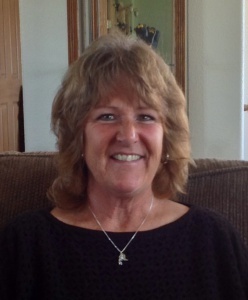 Shelly has been a member of the Emergency Management Association of Wyoming since 1994-2001, serving as Area II Vice-President for 2 years and Secretary for the Association for 2 years. She is certified Level III in Professional Standards and has completed her Professional Development Series. To date, Shelly has received over 1300 hours of training in several areas of Emergency Management, Hazmat, and firefighting, Search and Rescue and COBRA. Shelly and her husband Gary enjoy goose, duck and elk hunting, shooting, swimming, camping and other outdoor activities. She has lived in Goshen County for over 50 years. She has 2 daughters which are married, a step daughter and step son that are also married. They currently have 12 grandchildren.